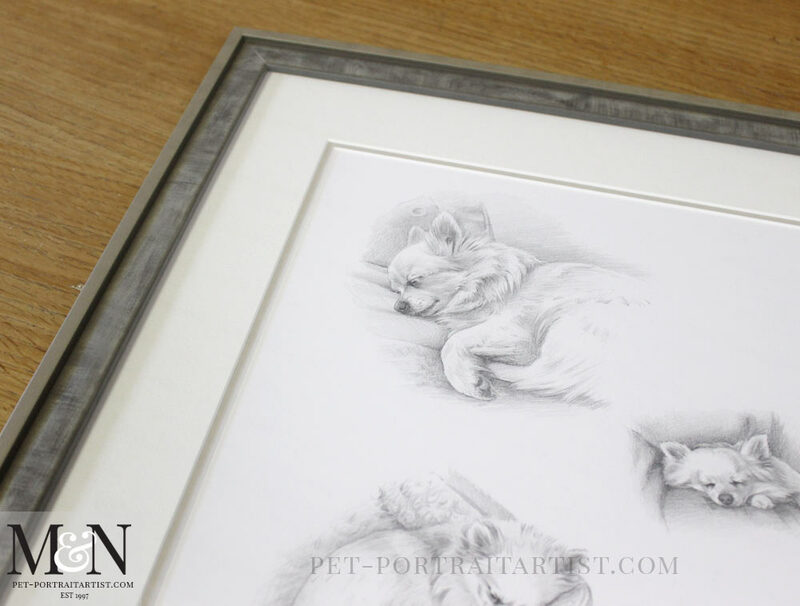 Welcome to my latest montage pet portrait framed. The portrait was an 18 x 14 inch montage drawing, traditionally hand drawn by myself using graphite pencil. 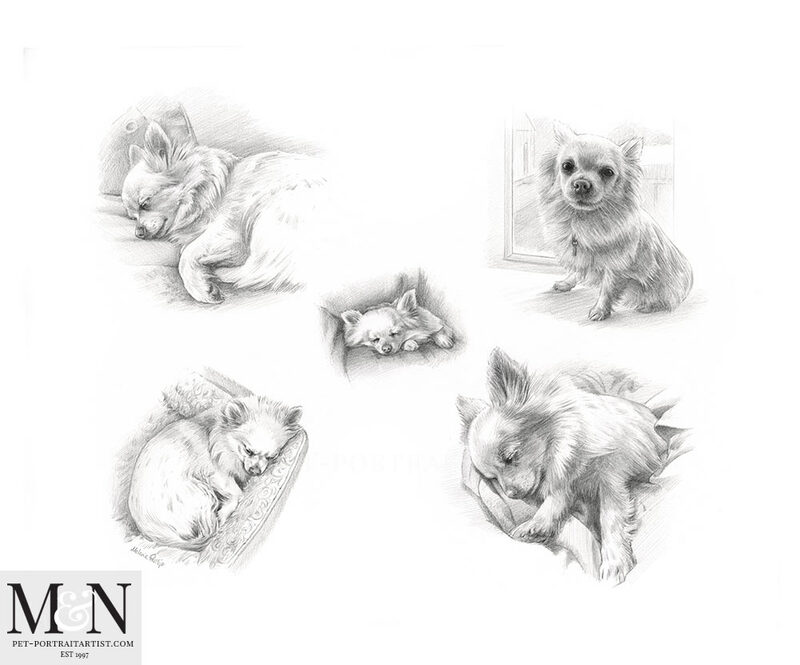 The portrait was commissioned by a local client Roger, who wanted to have a portrait of his wife dog drawn. They very sadly lost their dog suddenly after an operation. Rogers wife Louise was devastated at the loss of Chowie. So her husband asked if I could create a portrait for them. Louise knew what she was getting for Christmas and she wanted to be part of the process. She helped design the portrait and emailed me photos of that were dear to her heart. Louise didn’t see the finished article until Christmas day 2017 so was very excited! 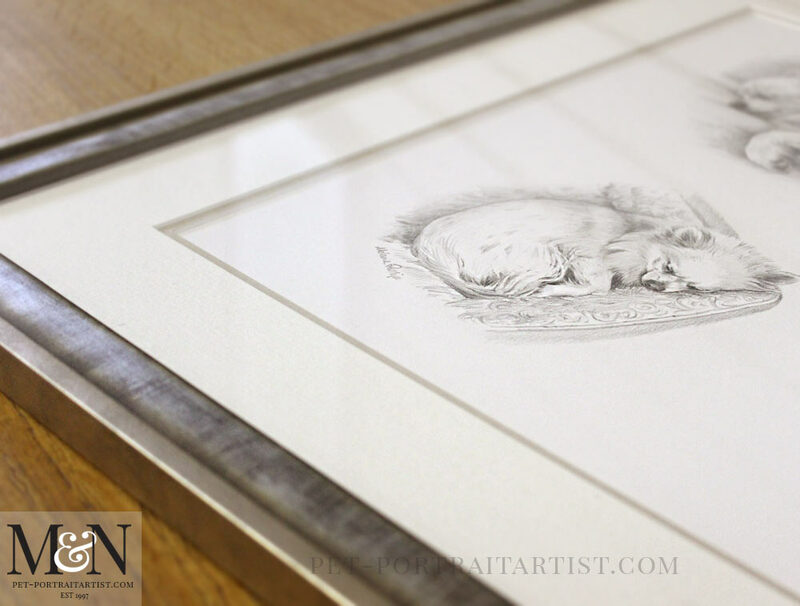 The family opted for a montage pet portrait framed. This way Louise could have all of her favourite photos of Chowie drawn so they could remember her wonderful characteristics. I somehow don’t think there was a dry eye in their house that morning. All of the family miss Chowie dreadfully. 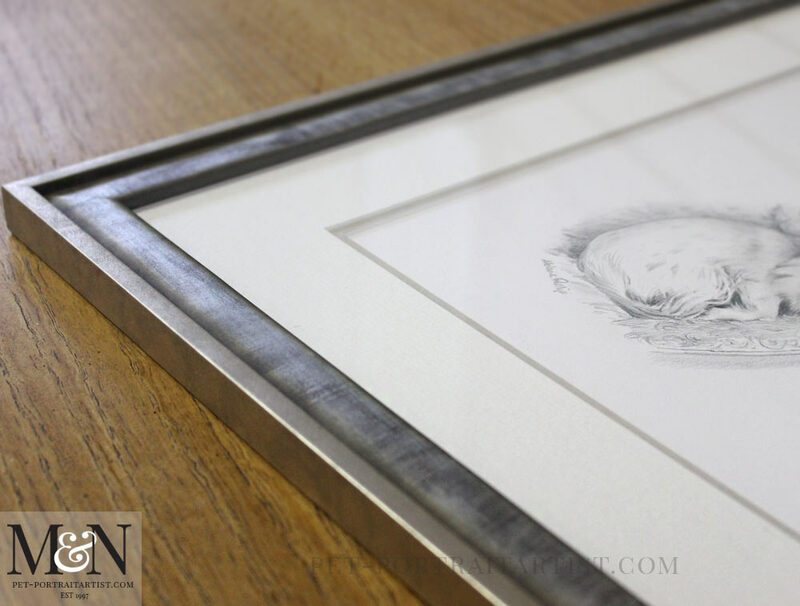 Chowie’s portrait was framed in our very popular Sandringham frame which you can see in the photos below. Louise requested something silver in tone. 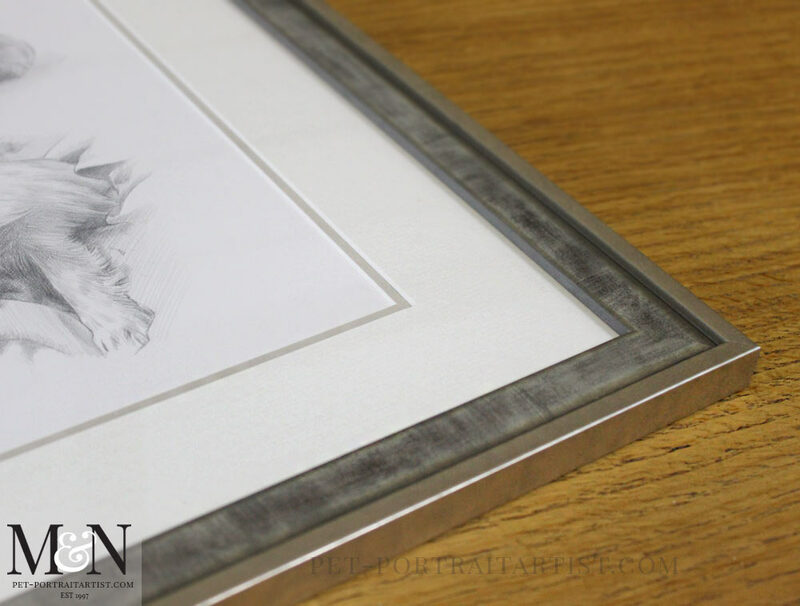 She wanted to not only match with the greys of the pencil drawing but also to match her newly decorated lounge. 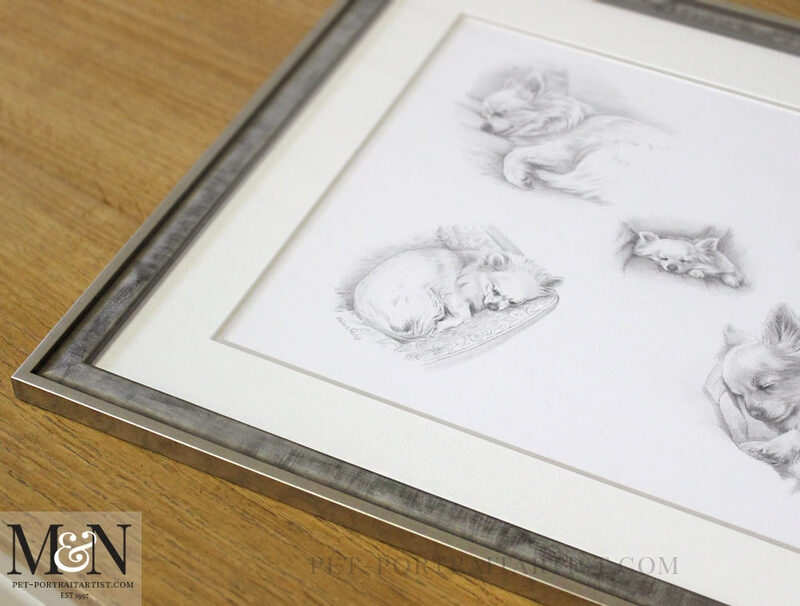 I have added Chowie’s framed photos to my framing gallery on my pencil portraits website already and you can take a look at them on my dedicated Sandringham frame page. 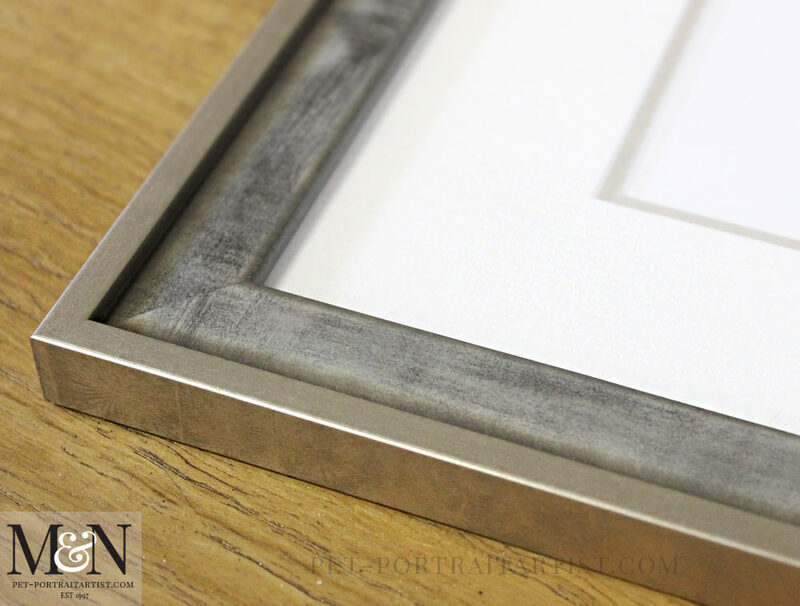 The frame is lovely as it is a distressed silver colour and it tends to reflect its surroundings. It can look quite a darkish silver in cool lighting and a lovely warm silver when there is warm colours and lighting. It has a dark base to it and so the distressing shows the darker lines and patterns adding real interest.